Mamavation Monday: Happy New Year! Well, my body got tired of waiting around for me to go to the doctor and took things into its own hands. Last Tuesday I started feeling ill. First I was just tired after lunch, then I thought it was boredom as I was getting that malaise feeling I get when bored-out-of-my-ever-loving-mind. By the time quitting time ran around I had lost my appetite and just wanted to go home and sleep. I’ve had exhaustion before and figured I was about to have another bout of it. By the time I got off the bus I was shivering despite being zipped up. I got home and proceeded to have an emotional breakdown pity party because the laundry was on the bed. By the time I actually made it into bed my fever was at 102 and climbing. “Great, the flu", I thought. Wednesday I had a fever of 103 that wouldn’t go below 100.2. Thursday I stopped being stubborn and was carted off to Urgent Care where I was informed that I had come in time to NOT be admitted to the hospital, all I needed was a few infusions of I.V. antibiotics, oral antibiotics, plenty of fluids and rest. 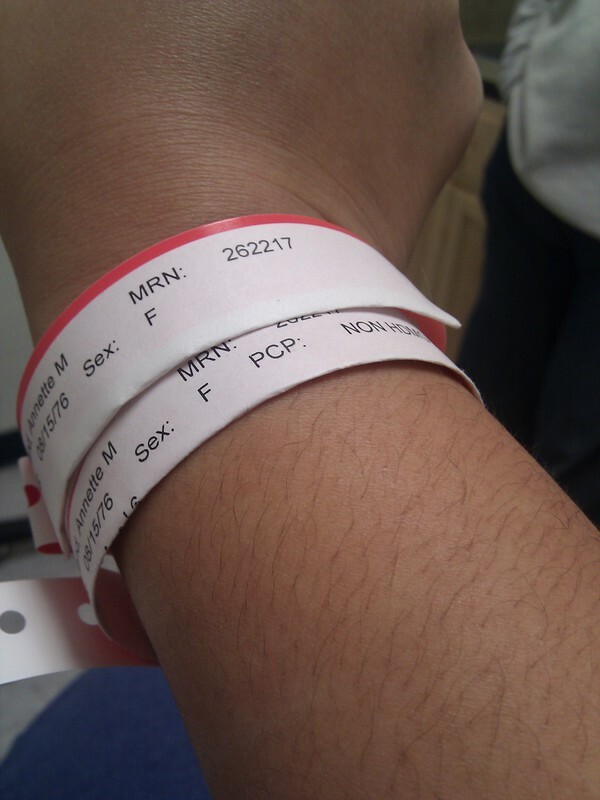 Yay me, I had a kidney infection. Now mind you, being prone to female problems, I’m usually on top of things like that and I swear I didn’t even have the first signs of a UTI, let alone a full-blown kidney infection! New Year’s Eve was spent with loved ones drinking …. water. Lots of water. And people watching. I got dressed up so I could sit most of the night. But it wasn’t so bad. Though it’s the first NYE in a while where I didn’t have anything to drink. So, given everything of the last week, I didn’t bother to weigh myself this morning since I am still on a mostly fluids diet (I got sick of it and had broccoli beef with jasmine rice last night though!). More soup tonight. CIGNA Healthy Steps to Weight Loss® The CIGNA Healthy Steps to Weight Loss® weight management program provides you with a personal coach to help you lose weight. What you’ll get: Educational workbook, pedometer, tape measure, eating awareness magnet, portion control plate, motivational cards. And I got myself a doctor who I have an appointment with in two weeks. It’s time to start taking care of myself for real. So, here’s a to a Happy, Healthy, and totally awesome 2011. It’s gotta be better than 2010 was. BLOGGING CARNIVAL: This week’s blogging carnival is sponsored by @GameStop. Game Stop is also the star of this week’s twitter party on 5 January. To be eligible answer the following blogging carnival question in your weekly Mamavation blog post and mention Game Stop with a link back to their site. Q: What are ways you can work out without having to leave the house? A: I recently bought the equipment needed to do a living room circuit (I got the idea from Fitness Magazine and it cost less than $20). Jump roping on carpet isn't that easy, but it's fun, especially when competing with your smart alec teenage son and boyfriend. Using the exercise ball for ab work of course, and with Christmas just past I got "Just Dance 2". I can't wait to try it out. Dancing is so much more fun than regular exercise. OMG - how SCARY about the kidney infection! So glad you caught it before you needed to be admitted to the hospital though! That would have made for a much rougher NYE... I think it's GREAT that you are putting yourself first too! That's AWESOME! Oh man, that is CRAZY about the kidney infection! And don't you hate it when they look at you like you're an idiot for not getting in there sooner? I know. Well, Happy New Year. Let's kick some healthy living tail.